I am certain you have heard by now about binary options trading market. Binary options represent a huge market for people with little to no experience in the binary options trading software. Now I think it is just the right time to expose and discover the truth behind one of the most popular websites for trading on the internet called Escape the Race. The harsh truth is that Escape the Race is just another scamming website luring people into spending their money for nothing. This one, much like so many others others, is designed to trick and fool you into believing you can actually make a great income if you only invest a small amount of your money. Now is the time to reveal the web of lies behind this software which is relatively new in the binary options trading market. Escape the Race is supposed to be professional software for binary options trading market. The promotional video says you are able to make an income of about $49K every month. Sounds great, doesn’t it? Well, don’t get excited so quickly. We are here to discover the web of deceit behind this software. Funny thing is that in their promotional video he never mentions the name of that alleged company which created the system. If his company is legitimate and reliable he would definitely say something more about it in their videos. By this time while researching, red flags appeared above our heads. 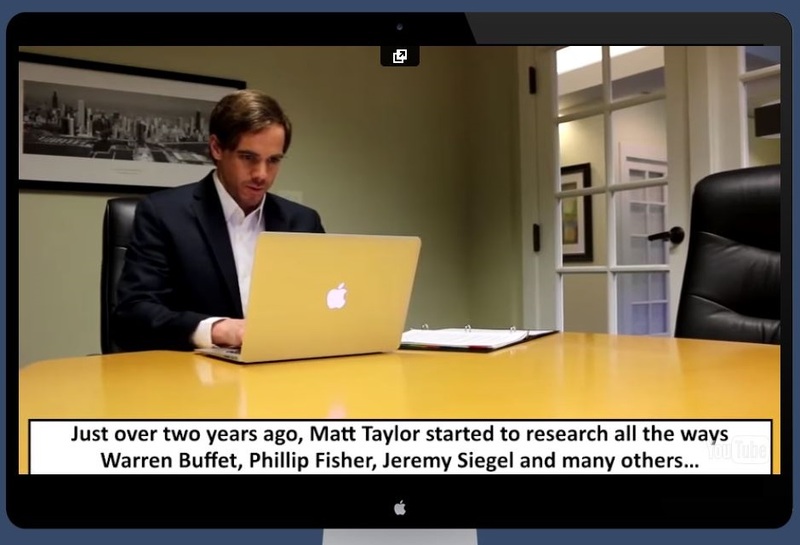 Matt Taylor throws at us many illogical things at us in his promotional video, like making impossible amounts of money in short period of time. These stories seems to me like fairy tales and nothing more than that. He has given us a bunch of tips for trading like a professional with not so professional skills when it comes to the binary options trading software. Besides many other fantastic stories he tells, the greatest of all stories is his knowledge of financial dealings and his great insight into the work of financial geniuses like Warren Buffet. When it comes to the background of his software and company, he never mentions anything about these relevant things. He never gets to the core of the software system and never really explains how it functions. In the end we know absolutely nothing about the software itself. He is only bragging about his software and its importance when it comes to the world of online trading but with no real evidence to show for it. To be honest, in one of his videos he actually ends up insulting people for not having greater experience and knowledge of the binary options trading market and them asking friends for advice before making any trades instead of consulting with the professionals. Of course, according to him, after taking his online course you are going to be able to make wise decisions and have greater knowledge in any trading and financial market. This is the funny part, because of the fact that Escape the Race is just another automated binary options robot running on autopilot and has nothing to do with getting more knowledge and gaining greater experience. The price of the software is yet another joke. You will have to pay an initial price of $250, which counts as deposit money and gives you the access to the software after this point. I tried to do more research about successful trading guru Matt Taylor and his alleged company owning Escape the Race software. As you guessed by now I didn’t find anything even slightly positive. Every positive review I’ve come across was completely fabricated and artificial. What Escape the Race offers doesn’t exist when it comes to the binary options trading market, meaning it is impossible to make that amount of income in such a short period of time. In conclusion I fail to see a single piece of evidence backing up his story about the legitimacy of this company. I was unable to find anything that confirms his competence and his success in the world of online trading. In my opinion, Matt Taylor doesn’t exist and when his prowess in the world of online binary options trading comes in question, it is completely imaginary. The story that Matt tells us in the video is that he is fresh out of Wall Street, with a head full of great ideas. I took some time to search for him on the social media platforms and there is no account matching the imaginary character of Matt Taylor. There is no Matt Taylor with anything to do with the Escape the Race software or any experience in the financial world. There is an easy explanation behind this phenomenon, and it is that Matt Taylor is just a fictional character and another paid actor hired by the scamming artists. When it comes to the Escape the Race website I have to notice they are not very creative or original. The website looks like any other scamming binary options trading website you can find anywhere on the internet. When you enter the website you will be bombarded with the promotional videos almost instantly. Besides promotional videos you can find some shady positive reviews and testimonials from the satisfied people who used Escape the Race software. I took some time to investigate these reviews and to see if they are from the actual people who used this software. There is no evidence to back up their testimonials. I want to remind you about growing business including people acting for websites like this Escape the Race, acting in their videos and earning some extra money and freelancers writing fake positive reviews. The biggest red flag is definitely that Escape the Race has no licensing information on their website. If Escape the Race is reliable and legitimate software it would display licensing information like every other legitimate trading site. When it comes to their FAQ section there is allegedly a customer service but when you actually want to click on the link you will see it is in fact nothing but a dead link. This is so far the biggest evidence of their deceit and lies. Their website also contains stats about their traders such as success rate. Traders using this software supposedly make 5x of their previous profit. Besides that you can come across information about success rate which goes as high as 100 %. Because of the nature of binary options trading, you can be sure that any site claiming 100% success rate is just a fraud, period. In conclusion I can honestly say that Escape the Race is nothing but a scam. I have provided you with more than enough evidence to support this statement. I recommend you to stay away from this shady software which are designed just to lure you into giving your money for nothing. There are many more reliable and legitimate robots you should try out there, but stay away from the Escape the Race which is proved to be nothing but a huge scam. You shouldn’t feel discouraged at all, there are great possibilities for you in the trading market and you will eventually get there if your try hard enough. There are limitless possibilities and you can explore them all, but make sure to stay away from Escape the Race. 7 Binary Options review: Escape the Race: 2 stars.